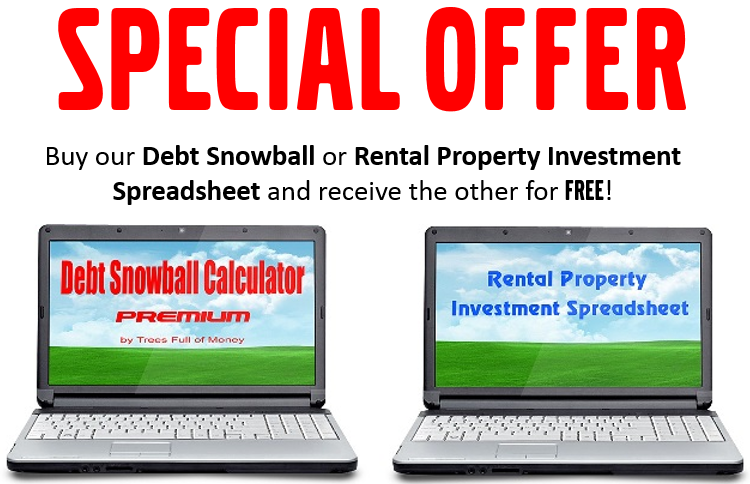 SPECIAL OFFER: Purchase our Rental Property Spreadsheet today and receive our Debt Snowball Spreadsheet for FREE! If you’re considering the purchase of a residential or commercial investment property but need help crunching the numbers to determine if the investment makes sense, my Rental Property Investment Spreadsheet (using Microsoft Excel) may be just the investment analysis tool you’re looking for! THIS is the Excel Spreadsheet featured on my personal finance blog. With your $10 purchase, you will receive the latest edition of the program (v1.2). As an added bonus you will also receive the unlocked (PRO) version of my spreadsheet that you'll be able to edit and tweak to your individual needs. This powerful tool will help you make a more informed decision when selecting potential investment properties. It will also improve your prospects of securing a loan from a lender by being able to present a clear financial picture of the deal and show cash flow projections. Instantly download your copy today for only $10 (secure payment processed through PayPal).